A test flight of Gemini 1 is conducted. 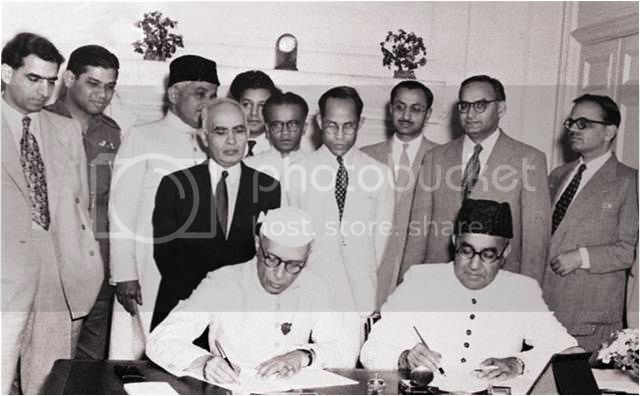 Pakistan and India sign the Liaquat–Nehru Pact. On April 8, 1950, the Delhi Pact was signed. It was the outcome of six days of talks between India and Pakistan. The Prime Ministers of India and Pakistan, Jawaharlal Nehru and Liaquat Ali Khan wanted to ensure the rights of minorities in both countries. Most importantly, they wanted to avert another war, which seemed to be brewing since the partition in 1947. A wave of fear spread among the people. The then Prime Minister of Pakistan, Liaquat Ali Khan decided to solve the issue. He issued a statement stating the need for an immediate solution and also proposed that his Indian counterpart hold a meeting to look into the problem. The two Prime Ministers met in Delhi on, April 2, 1950. They signed an agreement to safeguard the rights of the minorities. This pact, came to be known as the Liaquat-Nehru Pact. Some of the objectives of this pact were to lessen the fear of religious minorities, to put an end to communal riots and to create an atmosphere of peace. It was agreed that both governments would ensure complete and equal right of citizenship and security of life and properties to their minorities. Ensuring full fundamental human rights which included the rights of freedom of movement, freedom of thoughts and expression and the right of religion, was part of the deal. A minorities commission was to be set up to make sure that they would be represented. They vowed to not violate the rules of the pact and to make all efforts to reinforce it. If the minorities faced any problem, it would be the duty of both the governments to redress their problems without delay. In short, this pact agreed to guarantee full right to their minorities and to accord them the status of citizens. The retired tennis player Arthur Ashe announces that he has AIDS that he got from blood transfusions during one of his two heart surgeries. The Battle of Dayr al-‘Aqul prevents the Saffarids from taking over Baghdad. Israeli bombers strike an Egyptian school (Bahr el-Baqar). 46 children are killed. Over 4 million people attend the funeral of Pope John Paul II.